neglected problem hp laser jet printers have. I have followed technicians who could not figure out why they were having jamming problems but did not even mention the solenoid. 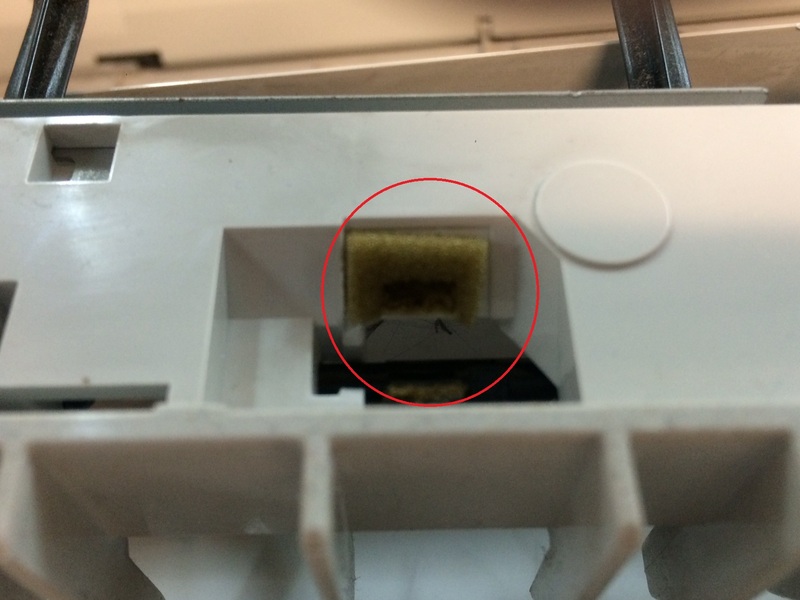 Paper feed solenoids should always be suspect when you begin diagnosing an HP printer that is jamming. This site includes many articles and how-to videos on testing and replacing paper feed solenoids . I believe its an important issue, hence the amount of time and effort i have put into it as you will see if you’ve browsed my website. I myself repair HP printers and use this information quite often. In this article and videos, it shows what I believe to be a professional way of repairing these type of hp solenoids that are used in almost all of hp laser jets. Watch the videos and let me know if you find that to be true. I am offering the videos free to everyone to use as a “how to” but you must first have a material to replace the old material. Think about getting the material or the complete repair kit from me. “Why?” you ask… Here is my sales pitch. When I began working on HP printers I kept stock of a few different types of new OEM Hewlett Packard Paper Feed Solenoids. They were and still are not cheap. I replaced quite a few each month. I really didn’t want to install used Solenoids. I’ve had company’s send me used solenoids and they were often worst than the ones I was replacing. In the back of my mind I was thinking it would be great if a company would offer this material or a kit that would replace the pad. Somehow make a convenient replacement pad so that I wouldn’t have to spend so much time, money and feeling kind of guilty throwing away a perfectly good solenoid that the only thing wrong with it was a bad pad. So I set out to find a good replacement material and cut them myself, and I did. It has taken me some time to do all of this but so worth it. I created a little kit I can carry and thought how handy it was. Each kit is pre-cut and the material lasts and has a good sticky back tape to install easily which is what I was looking for. You should always be prepared and feel good about your fix. Watch the videos and follow the links. “Better Than OEM” Paper Feed Solenoid Repair Kit! Pads come in a neat little match type container that keeps them safe until you use them! Comes in Packs of 10 with an addition of 2 more as a BONUS! The P4014, P4015 and the P4515 are an extremely loud piece of equipment. The main location of the noise emanates from the fuser drive area. The dB Level specifications for the Laser Jet P4515 (while printing) is at 74 dB. The predecessors noise level specs puts the Laser Jet 4250’s dB level at 69 dB. Quite a bit of difference. If you are using re-manufactured fusers or the fuser drive gears are worn I would put it much higher. The most probable reason for the refurbished fuser creating so much more noise is the lack of lubrication and/or inferior high temperature grease used on the heat sleeve and heating element. The first thing to look at and the easiest is to pull out the fuser unit and inspect the area below the drive gear. You will see a pile of white powder or dust from gear wear in the shape of a small pyramid or volcano roughly in the location outlined. To get a more accurate assessment of gear wear, you can use a small flat blade screwdriver and slide it along the gear teeth. On the inside of the drive gear against the frame the the gears do not make much contact so it is like new on that side. When you slide your driver across the gear it will stop your screwdriver because of the difference in height. When you slide your driver across the gear your screwdriver will stop because of the difference in height. On this picture you can visually see the wear, but even a very small amount of wear will cause noise. I call the P4515 fuser drive gears a swing plate. Saaaaawwwwwrrrrrry! Technically it is stationary, unlike the Laser Jet 4250 series. For me, it just makes sense…right? Question: If I’m on the phone describing it to you and I tell you it’s the “Swing Plate” you know exactly what and where I’m talking about don’t you? One final mention. If speed isn’t an issue, they made a firmware enhancement. With this revision of firmware 20080908 04.046.2 and all revisions after has, “Quiet Mode”. You can go to “configure device” and in settings you can select this “Mode”. It really does reduce the noise! Only thing is… it also reduces the speed! Three Possible Solutions to Reduce Printer Noise. To reduce the noise on the P4515 series printer there are three items to look at and possibly repair or replace. #1.) The fuser assembly, part number RM1-4554. You could also clean the heating element and re-apply high temperature grease. #3.) Choose “Quiet Mode” What a sorry excuse for a printer tech! I will be discussing only the paper path jam events or errors dealing with the Base Unit M602 Printer’s Paper Path. The sensors and their locations haven’t changed, just the the way the they are read from the event log. The fuser delivery sensor name has changed for the 4250 as you will see. I reference the old errors and note similarities which helps me and I hope you to understand their meaning. 13.01 – A 13.01.00 error message indicates that the media did not arrive at the pre-feed sensor (PS102) within the specified time. 13.02 – A 13.02.00 error message indicates that the media did not pass the top-of-page sensor (PS103) within the specified time. 13.03 – A 13.03.00 error message indicates that the media did not arrive at the top-of-page sensor (PS103) within the specified time. 13.05 – A 13.05.00 error message indicates that the media did not arrive at the fuser delivery sensor (PS108)(PS700) within the specified time. 13.06 – A 13.06 error message indicates that the media did not pass the fuser delivery sensor (PS108) (PS700) within the specified time. 13.20 – A 13.20.00 error message indicates that the printer power was turned on or that the printer attempted to initialize while the Pre-feed sensor (PS102), Top-of-page sensor (PS103) or the Fuser delivery sensor (PS700) was detecting media. There are three sets of two digits that all have a Designation. The second set of two digits codes are Sensor Locations. The first digit is whether it was Late to the sensor or if it stopped at the Sensor. Note: This is not a complete list. It is solely for trouble -shooting paper path Jams. Also, I’ve included the old event codes to help me grasp whats going on. This list and designations will change as I update it. Mistakes are bound to happen but it’s a start. I’ll be working on it and make changes when I can. email me at izzykilman@gmail.com if you have any good info. HP LaserJet 4 Plus Demo! 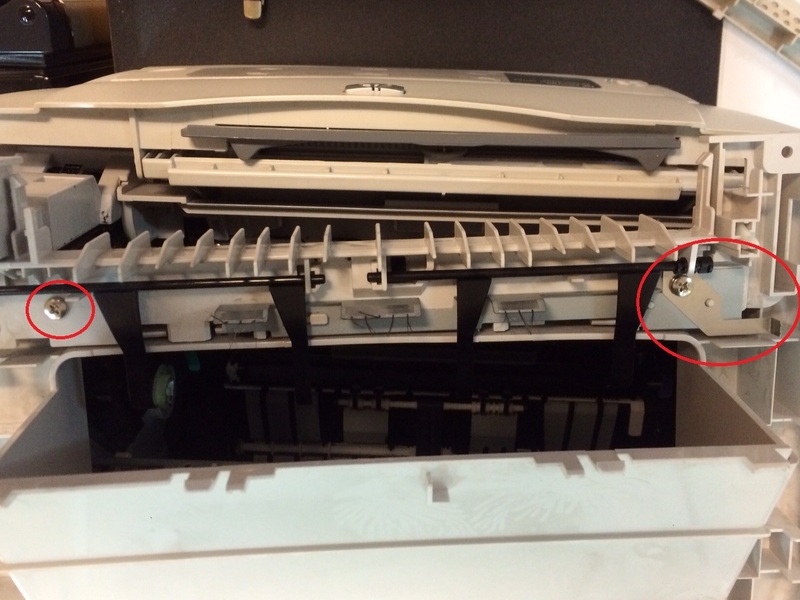 Testing paper feed solenoids on the HP laserjet 4240, 4250 and 4350 printers. When installing new drive gears, I’m recommending using Swing Plate RC2-2432-M601 (M601) instead of the RC2-2432 (P4515) In P4515, P4015 Series Printers. The main gear on the M601 that butts up against the fuser drive gear is” Helical” but on the P4515 the Fuser drive is a standard “Spur” Gear. 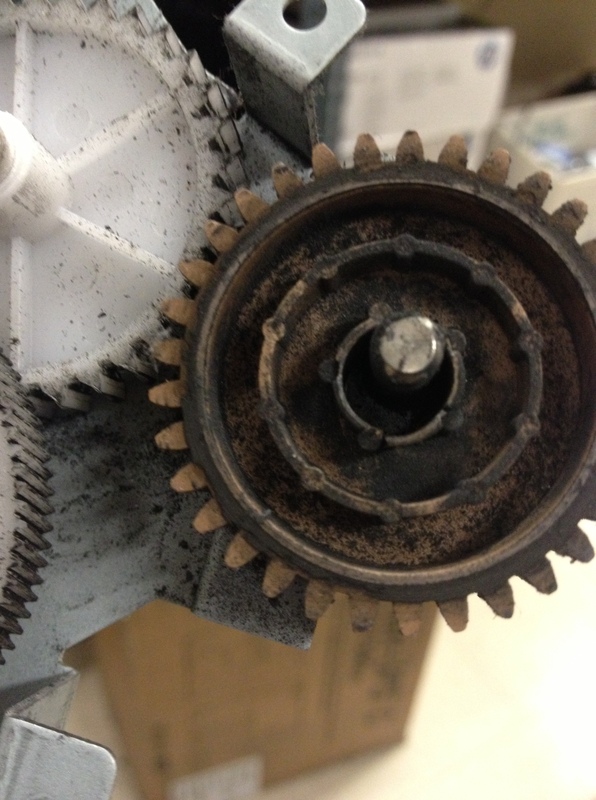 Don’t be worried because it will mesh fine with the P4515 Fuser Gear. The Swing Plates RC2-2432 (P4515) I was installing had a very short life. I have some of these printers that print 40K per Month and I was changing them constantly it seemed. The drive gear noise once installed is quiet and smooth. We know that the P4515 printer series generates a lot of noise. I am getting more than 3 times the life out of them now using the M601 style. I just changed one in a P4515 and it had 350K on it. The reason why I changed that one was because it was noisy and that’s the only reason. Very little wear. When I used the Standard swing plate it would strip at approximately 40 -50K and it would go down or be very noisy. I now have this type installed in all of my high volume areas and it has improved call back and call generation quite a bit. 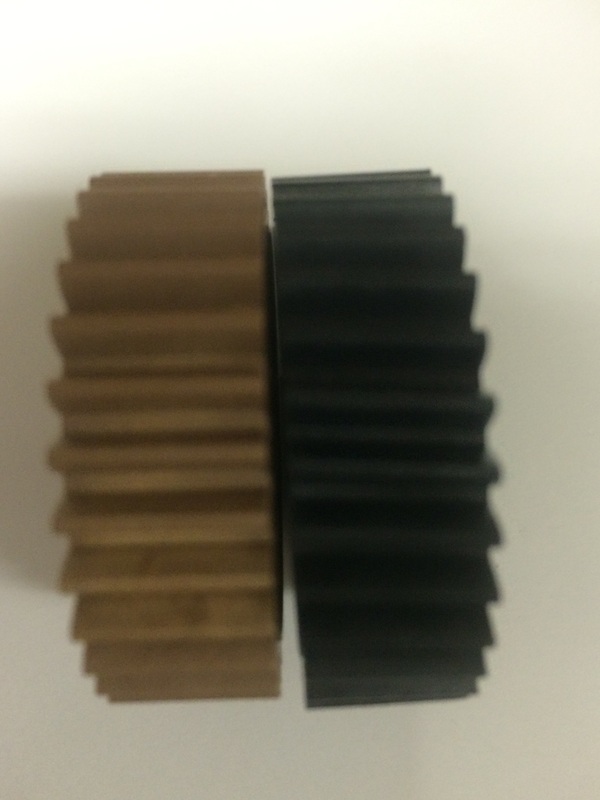 Helical gears (Black ) Helical gears offer a refinement over spur gears. The leading edges of the teeth are not parallel to the axis of rotation, but are set at an angle. Spur gears (Brown ) Spur gears or straight-cut gears are the simplest type of gear. These 3 little items can cause huge problems. They are the cause of jamming, registration skew, 13.98, 13.02, 13.03, 13.05, 13.06 error codes and they will also cause other issues that will leave you scratching your head. If, while your doing a maintenance or general cleaning, do yourself a favor and add this to your list of preventative maintenance. #1.) Inspect the Paper Full Sensor Flags Located on the Delivery Assembly. Test the levers by pushing down on the levers and pull back on them. You’ll will feel it sticking if the foam is deteriorated. Turn the cover upside down and remove 2 screws and the grounding plate. 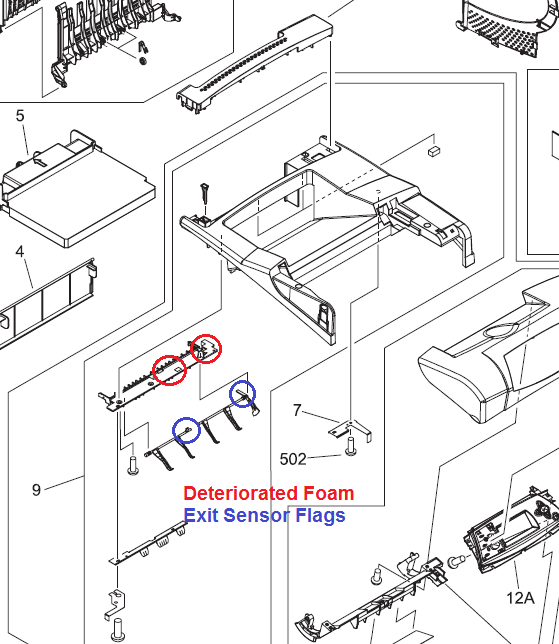 If the foam has become deteriorated, scrape the old foam off of the Paper Full sensor flag assembly, and remove leftover foam and glue with alcohol. There are two locations on the assembly for you to remove foam from. NOTE: It is not necessary to reinstall new foam. #2.) Inspect Registration Shutter on the Registration Assembly. 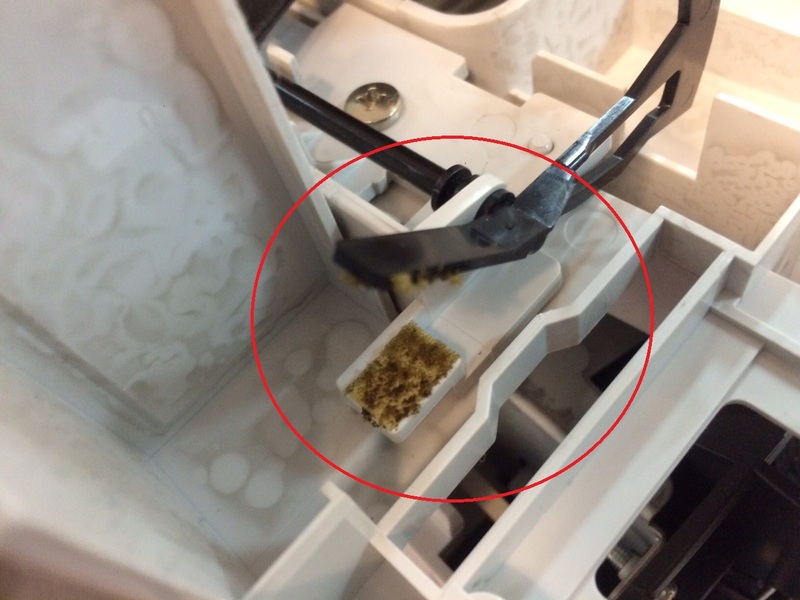 Remove the toner cartridge and pull/push on the Registration Shutter so that it is all the way open and see if it is sticking. If the foam has become deteriorated simply remove it by scraping it off with a knife and then remove leftover foam and glue with alcohol. #3.) Inspecting Paper Feed Solenoid Dampener Arm for deteriorated Foam. It’s a hassle to have to pull all the covers off just to see if the paper feed solenoid needs to be replaced. Here’s a way to test them so you don’t have to. Models Hewlett Packard Laser Jets 4200, 4300, 4240, 4250, 4350, P4014, P4015, P4515 and others. Go into “Diagnostics” and “Paper Path” Test Mode. Set it for 10 prints, single sided and select the tray that you would like to test. Pay close attention to the sound, speed and rhythm of the machines operation. If the solenoid is good you will hear the same rhythm and operation through out the test. But, if there is an issue with the solenoid you will notice a pause. It will “hiccup” and pause just for a moment, then continue. If it is really bad, it may end up jamming or become obvious that the foam is totally destroyed. You will become acquainted with this and be able to quickly tell if there is a problem. If you don’t do it that often you may have to pull the solenoids off to test them. It’s very subtle but if you do it enough you’ll be able to spot it right off. Look at the following Video below. I am testing tray 2 and tray 3 on a Hewlett Packard Laser Jet 4250. First is tray 2 with no problem ( Just Changed it) and next is tray 3 with an obvious problem with the solenoid. Remove the Solenoid and do a visual inspection. Replaced the bad solenoid with a “New Solenoid RK2-0269”. Don’t put a “good used solenoid” because you will soon be replacing it again. HP Laser Jet – Not Picking up Paper / Jamming at feed, Overview and Solution. Problem: Most Models; Paper Jams / Not picking up paper from tray. Error codes: 13.01, 13.30, 13.A2.D2, 13.A3.D3, 13.0000, Misprint. Error messages you may see on display. (These are different error codes for the same problem on different HP Laser Jet Printers). Solution: If you have multiple paper trays, Locate the tray that is having the jamming problem. Note: Can you use a different tray until the problem is resolved? Solution Continued: Pull out the paper tray completely from machine. Remove all paper and discard any damaged paper. Check paper tray size guides and adjust them to correct sizes. Such as 81/2 X 11. Note: There normally are length and width guides. To adjust them squeeze the blue lever, (Most are Blue not all) until they are set to correct sizes. If the guides are too tight or too loose it can cause jamming /not picking up the paper. Look for broken guides. If they are broken, you can use packing tape to temporarily keep the guides in place. Correct Fanning of Paper: Fanning the paper introduces static electricity. Instead of fanning the paper, flex the stack by holding it at each end and bringing the ends up forming a U shape. Then, rotate the ends down to reverse the U shape. Next, hold each side of the stack of paper, and repeat this process. This process releases individual sheets without introducing static electricity. Straighten the paper stack against a table before returning it to the tray. Paper Feed Rollers: It is possible that the Paper Feed Rollers are worn out. You can try cleaning them until new rollers are installed. There are normally three rollers that are used in HP Laser Jet Printers. There is “One in the paper tray” and the other two are inside the machine. (Located on top of the “Tray Roller” when the tray is closed). You can use 409 or some type of soapy water and a cloth towel. Clean the entire surface of roller then use the dry part of the towel to remove excess. Let me know if this helps or if you need some help, Thanks for Reading! Often when removing the toner cartridge for a paper jam, shaking it to get a few more prints or removing it while performing printer maintenance the toner stirs up and a small bit of toner or even a speck of unknown material will adhere to the charge roller inside the cartridge. This causes a small dot to appear on all of your prints. These dots are all “in-line” and have identical spacing. HP calls this a repetitive image defect. All HP all-in-one laser printer toner cartridges are affected and this problem can arise. Once this happens you really have nothing to lose but to try this fix. It is definitely worth a try as you would have to replace the cartridge if you didn’t want a dot on all of your documents. The cost for these cartridges are quite expensive. If you just purchased the cartridge you can try to have it replaced under warranty. NOTE: When removing the toner cartridge for whatever reason, never set the cartridge upside down. Place it right side up. Always set it down gently. You will know it is caused by the Charge Roller by understanding the image defect ruler. The spacing on most laser printers will be 37.7mm or 1.5 inches between each dot. You will need a Q-Tip, writing pen and a flashlight. Also you will need a sample of the print job with the image defect. Line up the defect page, centering it with the charge roller on the toner cartridge. The Charging Roller is visible through the shutter slit. This is where the laser unit directs the beam to create the Image. 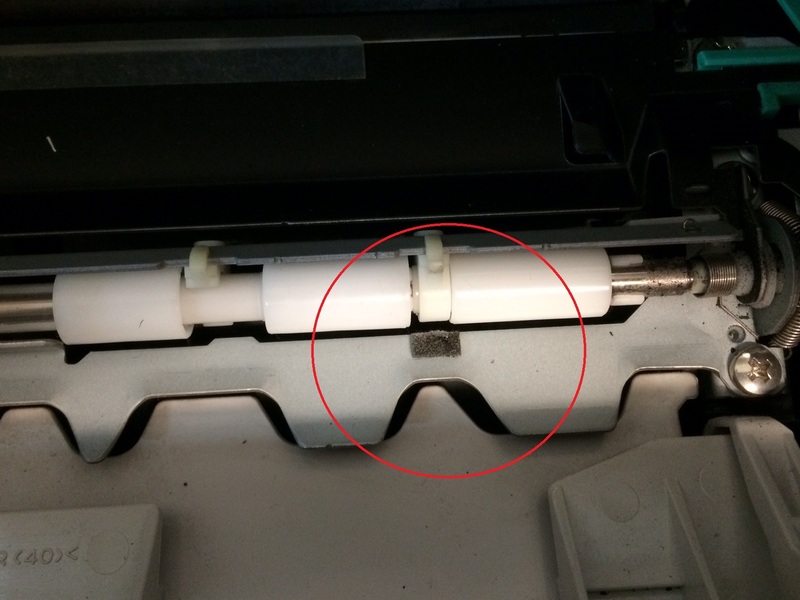 Mark the toner cartridge following the image defect or “DOT” so you will know where to clean the charge roller. Mark the location of the defect with a pen. Shine a flash light into the shutter and locate the dot on the charge roller and clean it with the Q-Tip. WARNING: Do not use any type of chemical , water or solvent as this will destroy the charge roller. Next re-install the toner cartridge and print a configuration page. If the dot is still there, redo the previous steps until the dot is gone. Have patience. It sometimes takes several tries to get rid of the dot. I have had a 100% success rate, so don’t give up. Following is a list of directions to print a configuration. You can google the directions if you do not have a service manual for your particular machine. Press Menu until INFORMATION MENU appears. Press Item until PRINT CONFIGURATION appears. Press Select to print the page. Note the number of pages since last maintenance. 2. Press to highlight INFORMATION, and then press . 3. Press to highlight PRINT CONFIGURATION, and then press . 1. Press the Menu button . 2. Press the down arrow button or the up arrow button to navigate to the INFORMATION menu, and then press the OK button. 3. Press the down arrow button or the up arrow button to highlight the PRINT CONFIGURATION option, and then press the OK button to print the page. 3. Scroll to the Configuration Page item, and then press the OK button. This article shows how to upgrade the firmware on an HP Laser Jet 600, M601, M602 and M603 Series Printers. We will also show you why you may or may not need to upgrade the firmware in the first place. You might ask. Upgrading the firmware can correct problems and also add new features to devices without replacing hardware. It depends on the printer and your printers issue. One of the biggest and most important problems firmware fixes is the 49 error. As computers progress many times the printers don’t. The 49 errors are the printers way of telling you there is a communication malfunction. The printer/computer are speaking a different language and can’t understand one another. There are many other issues that different models have that a firmware update addresses. I have the list of fixes from HP for the M602 series at the end of this article. If you have a large fleet of laser printers, you do not want to up-grade your whole fleet all at the same time. The ability to upgrade firmware on multiple devices “simultaneously” is available with “Web Jetadmin” a free application for managing HP printers. This “batch” process of upgrading your fleets firmware has the well meaning intention of saving you time, but it is possible you could have some failures and that’s not good. I would definitely do some testing before the actual process and verify the best practices and procedures on test machines. Here is an example of why you may want to reconsider broadcasting firmware. On the HP LaserJet P4515 series printer, using HP’s easy firmware upgrade utility . If you leave the optional 500 sheet tray(s) on the printer when you send the files, it will brick the tray and the formatter. To this day I haven’t seen where HP has fixed this. This is just one example. My point is, test and verify everything. I only upgrade the firmware on a unit if it is having a problem that only firmware can fix. If it’s not broke, don’t fix it. I determine if a printer needs a firmware upgrade on a one on one basis. Don’t just go willy nilly and start sending global firmware updates! Hewlett Packard’s new way of upgrading the firmware in their LaserJet enterprise printers and MFPs is “FutureSmart”. Future Smart firmware is similar to an operating system . It enables your LaserJet enterprise devices to be upgraded over time, similar to a PC’s operating system with service packs or upgrades. These maintenance upgrades allow customers to maintain feature stability for their fleet. Service pack updates do not affect existing device features, such as control panel layout and options, while providing important security and regulatory updates or operation fixes. New service pack updates are available multiple times throughout the year. (for example, HP FutureSmart 3.0). Major release upgrades are made available to current HP devices when the next generation of HP FutureSmart features is introduced. Step by Step Instructions for Updating Firmware on the HP Laser Jet Enterprise 600 M601, M602 and M603 Printer. NOTE: There are five different methods of up-dating this firmware. IMPORTANT: Please print a configuration page prior to performing any firmware update. Download the Firmware File and unzip. NOTE: USB Flash Drives that are not in a Fat32 format or having a CD formatted partition may not be recognized by the printer. You may need to try a different USB flash drive. Copy the xxxxxxx.bdl file to a portable USB flash memory storage device (thumb drive) in the root directory. #1.) Turn the Power on. #2.) Press the Stop button when the Ready, Data and Attention LEDs illuminate solid. #3.) Press the Down button to highlight Administrator, and then press OK. #4.) Press the Down button to highlight Download, and then press OK. Insert the portable USB storage device with the xxxxxxx.bdl file on it. #5.) Press the Down button to highlight USB Thumbdrive, and then press OK. NOTE: If the message No USB Thumb drive files found on the control panel display, you may need to use a different USB storage accessory or place the firmware file in the root directory. What is the Root Directory on a Thumb drive? If you open the thumb drive (Removable Disk “E”or what ever Letter is asighned) This is the root directory and it is where you will place the .xxxxxxx.bdl file. #6.) Press the Down button to highlight the xxxxxxx.bdl file, and then press OK. IMPORTANT: Please be patient since this may take up to 10 minutes to reboot. You may cause damage to the machine if you interrupt or turn the power off before the firmware completes. #7.) When the message Complete appears on the control panel display, press the Back button 3 times. When the message Continue appears on the control panel display, press OK. The printer will continue to boot to the Ready state. After the printer or MFP is back online, print a Configuration Page and verify that the new firmware has been installed. Added backwards compatibility of PDL commands to control source input trays with all PDLs. Added the ability to modify trays security constraints. Ability to unlock stored jobs based on authenticated user. Ability for a User or Administrator to re-print the Welcome page. This feature provides access for web services applications, including Web Jetadmin, to the FIPS 140-2 status information of installed encrypted hard drives and the ability to enable/disable the encryption on the drive. The ability to prevent disk corruption when power plug pulled during Firmware upgrade. Add a new internal page: Administration, Reports, Configuration/Status Pages, Web Service Status Page. On this page it will list all of the currently running web services. Usage Page displays the correct tray information and counts for an Installed Envelope feeder. The ability to collect diagnostic log information if not able to boot to Ready. This new feature allows you to use the Pre-boot menu and a USB thumb drive to collect the log files. Added the ability to Support Additional Output Bin Types with Paper Path Test. The ability to hide the Job list. The user can enable/disable 10 User Defined Media Types via SNMP, Web JetAdmin or EWS. The user can assign a print mode to the User Defined Media types. The user can create their own customized name for the User Defined Media Types. The UI constrains the displaying of User Defined Media Types based on whether the SNMP OID has been enabled or disabled. When disabled, the specific User Defined type is not listed in the Adjust Paper Type menu. When enabled, the specific User Defined Media Type is displayed in the Adjust Paper Type menu. Unsupported USB device messages are now able to be hidden. The signed in Username will now be visible from most control panel screens. The device cannot read or write to the print cartridge e-label, or the e-label is missing from the print cartridge. 1. Verify that a genuine HP print cartridge is installed in the device. 2. Install another print cartridge. 3. Verify that the memory tag PCA is installed in the device. 4. Verify that the memory tag connector is firmly seated in connector J510 on the ECU. You might have to remove the main cooling fan to see this connection. To continue printing, touch OK. The device cannot read or write to the printcartridge memory tag, or the memory tag is missing. 1. Open the cartridge door. 2. Remove the print cartridge, and then reinstall it. 3. Close the cartridge door. 4. Turn the device off and then on. 5. Verify that a genuine HP print cartridge is installed in the device. 6. Install another print cartridge. 7. Verify that the memory tag PCA is installed in the device. 8. Verify that the memory tag connector is firmly seated in connector J510 on the ECU. You might have to remove the main cooling fan to see this connection. 9. If the error persists, contact HP Support. you turn the device on. Contact HP Support. Paper is fed from tray 2 to the device by the tray 2 pick-up roller. When energized, solenoid SL2 releases a clutch, and then the pick-up roller rotates to pick up the paper and advance it into the paper path. 2. Verify that the media is loaded correctly and that the guides are not too tight or too loose against the stack of media. 3. Verify that the tray 2 pickup roller and separation pad are installed correctly. 4. Verify that solenoid SL2 is being energized. If you cannot hear it during a print job, remove tray 2, override the paper presence sensor flag, start a print job, and then see if the pick-up roller is rotating. 5. Verify that solenoid SL2 is firmly seated in connector J504 on the ECU. path. When solenoid SL1 is energized, a clutch mechanism allows the paper stack in tray 1 to lift, and then allows the feed roller to rotate one time to move the paper into the paper path. 3. Verify that the tray 1 pickup roller and separation pad are installed correctly. 4. Verify that solenoid SL1 is firmly seated in ECU connector J508. Verify that SL1 is being energized by removing the cover and observing the solenoid during a feed operation. 5. Open and close the cartridge door to clear the error message. Paper failed to reach the delivery sensor within a specified period of time when a print job was initiated. When troubleshooting paper jams, always observe where the leading edge of the paper stops in the jam. 1. Verify that nothing is obstructing paper movement within the paper path. they do not rotate, verify the connection. alternates with Remove print cartridge . A jam has occurred inside the front door. 2. Verify that the face-up tray sensor (PS1) is functioning properly. 3. Verify that connection J505 is firmly seated on the ECU. A jam has occurred in the rear door area. 2. Verify that the sensor connections on the rear of the fuser assembly are seated correctly. 3. Verify that connection J405 is firmly eated on the ECU. 2. Verify that high-voltage power supply flat ribbon cable connection J404 is firmly seated on the ECU. A jam has occurred in the fuser area. 1. Press to see step-by-step information. 3. Remove all media found. 4. Lift the metal flap, and then remove any media remaining. 5. 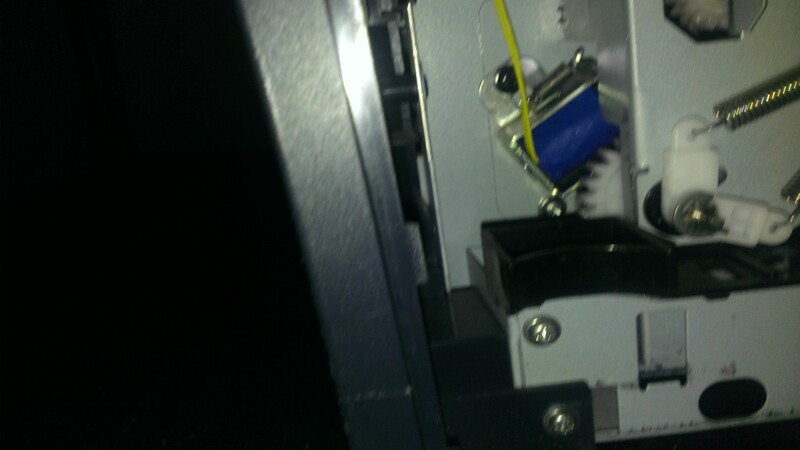 Reinstall the print cartridge, and then close the cartridge door. 3. Remove tray 2, clear the jam, and then reinstall tray 2. 4. Verify that the tray 2 pickup roller and separation pad are installed correctly. 5. Verify that solenoid SL2 is firmly seated on ECU connector J504. Verify that SL2 is being energized by removing the cover and observing the solenoid during a feed operation. 6. Open and close the cartridge door to clear the error message. A page is jammed in the tray indicated. 3. Verify that the tray pickup roller and separation pad are installed correctly. 4. Open and close the cartridge door to clear the error message. NOTE: To avoid jams with heavier media, use tray 1 and the rear output bin. A jam has occurred inside the duplexer. 2. Remove the duplexer from the rear of the device. 3. Look inside the device duplex area and remove any media. 4. Remove any media from the duplexer. A jam has occurred in the duplex reversing area. 2. Open the rear door, and then remove all media found. A jam has occurred in the registration assembly area. 1. Press the to see step-by-step information. 2. Open the cartridge door, and then remove the print cartridge. 6. If the message persists, verify that the flat ribbon cable at the bottom of the ECU is connected correctly. The device has received more data from the computer than fits in available memory. 1. Press to continue printing. NOTE: Data will be lost. 2. Reduce the complexity of the print job to avoid this error. 3. Adding memory to the device may allow printing of more complex pages. The page-compression process is too slow for the device. Some data may be lost on the page. 2. To print the job with some data loss, press to exit the message, and then press . If data is lost, simplify the page content to reduce its complexity. 3. To exit, press . For devices with an EIO device only. The device EIO card in slot X has overflowed its I/O buffer during a busy state. 2. If the message persists, contact HP Support. The embedded HP Jetdirect print server buffer has overflowed during a busy state. NOTE Data will be lost. The device parallel buffer has overflowed during a busy state. 2. If the message persists after exiting Help, contact HP Support. The device serial buffer has overflowed during a busy state. The device’s USB buffer has overflowed during a busy state. A serial data error (parity, framing, or line overrun) has occurred while the device was receiving data. The connection with the HP Jetdirect embedded print server has broken. Media is loaded that is longer or shorter in the feed direction than the size configured for the tray. 1. Press to print from a different tray. 2. To print from the current tray, load the tray with the size and type indicated. Ensure that all trays are configured correctly before printing again. See Load input trays on page 19 for more information. The device senses a different media type than what is configured in the tray. A device error has occurred. 1. Press to continue or press for more information. 2. If the message persists after exiting help, turn the device off and then on. 1. Turn the device off and then on. 2. Try to determine whether the error occurs intermittently, while printing, or when turning on the device. or computer. Make sure the computer has the most current printer drivers, or use a generic printer driver. one installed on the device and the device can receive a firmware update, download the newer firmware upgrade. print job, contact the software vendor for assistance. 6. If the message persists, contact HP Support. AC power is not being provided to the fuser assembly. AC voltage is necessary to generate heat in the fuser assembly. 1. Verify that the fuser power cable at the back of the device is connected and the ECU is fully seated. 2. If the message persists, replace the fuser assembly. fuser assembly hot-roller temperature and provide feedback to regulate the fusing temperature. 1. Verify that the seven-wire connector is firmly seated in connector J405 on the ECU. You might have to remove the main cooling fan to see this connection. 2. Verify that the four-wire connector at the rear of the device is firmly seated in the fuser assembly. 3. Verify that the AC voltage is being provided to the fuser assembly. 4. If the message persists, replace the fuser assembly. alternates with To continue turn off then on A device error has occurred. A scanner motor error has occurred. Scanner motor rotation is verified at the initialization of a print job. 1. Verify that the scanner motor connector and the ribbon cable from the ECU are firmly seated on the laser/scanner assembly. 2. Verify that the scanner motor connector is firmly seated in connector J402 on the ECU. You might have to remove the main cooling fan to see this connection. 3. Verify that the ribbon cable installed in connector J403 on the ECU is fully seated. (See Figure 6-9 ECU wiring on page 195.) You must remove the ECU in order to verify this connection. 4. If the message persists, replace the laser/scanner assembly. The memory DIMM is not a supported DIMM. Install a supported DIMM. See Install memory on page 26. A device command error has occurred. The engine is not communicating with the formatter. 2. Verify that the flat ribbon cable between the ECU and the formatter PCA is connected correctly. 3. If the message persists, replace the ECU. If the message still persists, replace the formatter. alternates with To continue turn off then on A sub cooling fan (FM2) error has occurred. Fan operation is verified during device powerup. Fan operation occurs only during powerup or during a print job. 2. Verify that nothing is hindering or blocking the fan. remove the main cooling fan to see this connection. 4. If the message persists, replace the fan. or during a print job. A main motor (M1) error has occurred. Motor operation is verified during device power-up. 2. Verify that nothing is hindering the main motor. If necessary, remove all paper trays and the print cartridge, and then turn on the device and listen for motor operation. 3. Verify that the main motor is connected to connector J407 on the ECU. (See Figure 6-9 ECU wiring on page 195.) You might have to remove the main cooling fan to see this connection. 4. If the message persists, replace the motor. 2. If the message persists, replace the formatter. A scan buffer error has occurred. 4. If the message persists, replace the formatter. A non-volatile storage device is full. Press to clear the message. Printing can continue, but unexpected behavior could result. alternates with To continue turn off then on A critical hardware error has occurred. The EIO accessory card has encountered a critical error. 2. Upgrade the Jetdirect firmware. See Upgrade the HP Jetdirect firmware on page 171. 3. Try to determine whether the error occurs intermittently, while printing, or when turning on the device. or computer. Make sure the computer 140 Chapter 6 has the most current printer drivers, or use a generic printer driver. 5. If the error occurs when the device is first turned on, turn off the device, disconnect the LAN cable, and then turn on the device. This process will determine if errors occur from the network connection. If errors do not appear when the LAN cable is unplugged, it is possible traffic or signal on the network might be causing the error. Make sure to try all solutions suggested, especially upgrading the Jetdirect firmware. 6. Disable the print server. ● For EIO print servers, remove the card. ● For embedded print servers, use the SERVICE menu. 7. If the problem persists, contact HP Support. The HP Jetdirect embedded print server has encountered a critical error. 2. Update the Jetdirect firmware. See Upgrade the HP Jetdirect firmware on page 171. 3. If the problem persists, contact HP Support.